Tropical Closet Hop Head in all its glory! A few weeks ago, I brewed for the first time in about ten months. 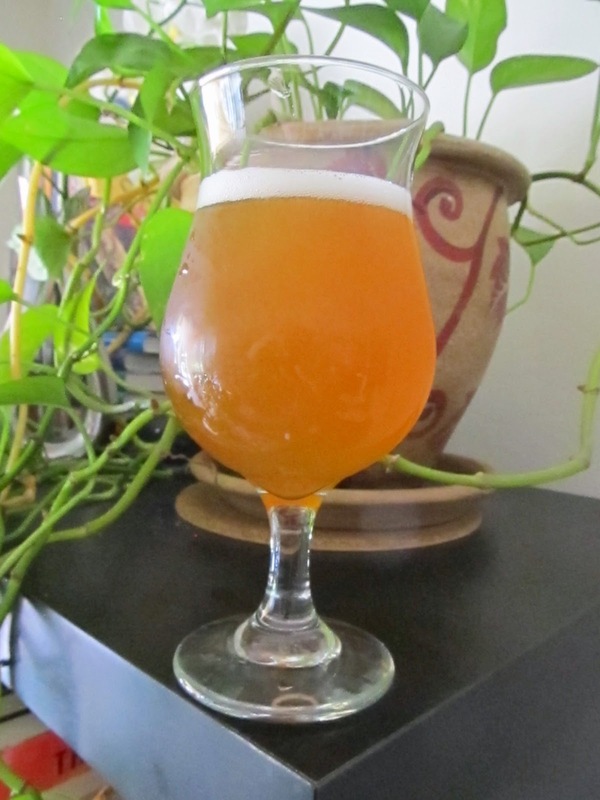 It was a Belgian IPA, based on a recipe I made last year that a called Closet Hop Head. At the last minute, I impulsively made a couple last minute substitutions to replace coriander with cinnamon and Cascade Hops with Galaxy Hops to create a more tropical character to the brew and decided to call it “Tropical Closet Hop Head”. Wouldn’t you know, I think I pulled this off. The cinnamon works with the tropical Galaxy hops to create a nice tropical vibe with a slight floral notes from honey, Chinook and Amarillo hops. The honey thins out the brew to make it a little more drinkable, and I detected no off flavors. It doesn’t have a strong hop punch but the hop bitterness is certainly there, and it’s got nice aromatics. Call it more of a hoppy Pale Ale than an IPA, but it works pretty well. brewer harbors this deep desire to brew professionally. They’re wrong! Home brewing is fun, professional brewing is work. Ken Grossman can’t wake up someday and say “You know, today I’ll ditch the Cascade hops and go with Galaxy Hops in Sierra Nevada Pale Ale and see what happens.” And if Ken Grossman did cook up something tasting like Tropical Closet Hop Head, I think he’d be pretty damn proud of it in my totally unbiased opinion. Previous Previous post: Is this shocking?